Dissolves years of arterial plaques build-up naturally, without surgery. Prevents heart attack and stroke. A dietary supplement that removes years of arterial plaques build-up naturally. Improves blood flow, controls hypertension, prevents heart attack and stroke. What is ETHOZYME Natural Arterial Plaques Cleanser? Ethozyme is a dietary supplement consisting of enzymes that digest dead tissues such as plaques and blood clots. It goes around the body like a mini vacuum digesting dead proteins that have not been properly broken down during digestion. These dead proteins lead to inflammation, allergies and blocking up of cellular structures of the body. These enzymes do not harm living tissues. You are assured that your vital organs are safe. This supplement also contains herbal elements that are so combined to keep vital organs healthy and promote total well-being. 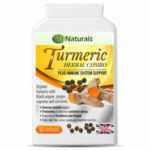 It helps to combat a wide range of serious physical ailments such as cardiovascular issues and hay fever arthritis. This natural artery cleanser also helps to clean up the body’s lymphatic system, a crucial system that pumps to move the fluid around. If you have pain, inflammation, low energy, immune system issues, benign tissue growths, want to remove scar tissue, you need enzymes as our pancreas become tired and worn out from eating an all cooked food diet. Who Needs Arterial Plaques Cleansing? 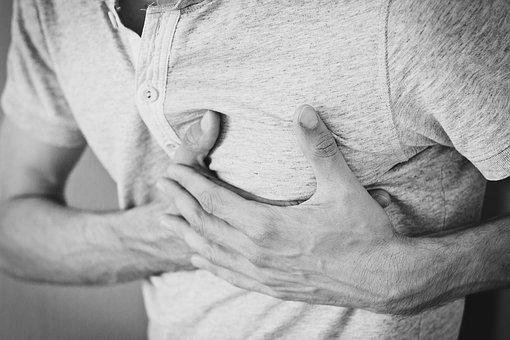 If you have a history of smoking, overweight or hypertensive, then you are likely to have clogged arteries or arterial plaques build-up that can clog your arteries and restrict blood flow. Smokers and people with unhealthy diets who are fond of food high in cholesterol usually have plenty of fatty deposits on the arteries called arterial plaques. Arteries with plaques make arteries shrink and restrict blood flow. When blood flow from the heart to the brain is interrupted, this starves the brain of oxygen and the result is either heart attack or stroke. If you have been experiencing pain at the back of your head or feeling sluggish especially after a high cholesterol meal, it is a sign of poor blood flow. Your arteries may be clogged. When we are young, our body produces enzymes that help in breaking down proteins and other food substances in our body. But as we age, the capacity of the body to produce these enzymes slows down. Supplementation with enzymes become helpful. Often, surgery is performed if the plaques block blood flow to the heart or brain. Before contemplating surgery, why not try our prescribed alternative means? The first action to take is to change your habits. Minimize smoking and eating foods that are high in cholesterol. This way, restoration of normal blood flow will be faster. Secondly, taking ETHOZYME helps. 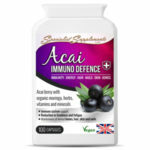 It is a food supplement that helps clean up years of plaques build-up from an unhealthy lifestyle. Within a month of taking this supplement, you will feel the difference. A course of 2-3 months can completely remove years of arterial plaque build-up. After finishing the prescribed course, you can prevent further plaque build-up by being ready to take the supplement each time you eat a fatty or high cholesterol diet. We do not prescribe going back to your unhealthy habits but there are occasions when you cannot avoid such foods. We also received a report that this product helped with toes tingling sensations associated with nerve issues and hypertension. Who Should NOT take ETHOZYME? Serrapeptase – This enzyme is naturally sourced from silkworm through a fermentation process. It digests non-living tissues, blood clots, cysts, and arterial plaque and inflammation in all forms. It has wide clinical use spanning over 25 years throughout Europe and Asia as a viable alternative to salicylates and ibuprofen. Serrapeptase is a natural physiologic agent with no inhibitory effects on prostaglandins and is devoid of gastrointestinal side effects. Grapeseed Extract – has a concentrated source of oligomeric proanthocyanidins, antioxidants that help protect cells from free radical damage and promotes healthy circulation. Pycnogenol – an antioxidant known to help lower blood pressure. It is made from the bark of a white pine and contains powerful antioxidants useful for the strengthening of blood capillaries, fight varicose veins, diabetic retinopathy, swollen legs and other inflammatory conditions in veins and capillaries. Vitamin K2 – Studies done at the University of Maastricht, The Netherlands have shown this helps clear blockages in the arteries and prevent bone degeneration. Policosanol – Promotes healthy cholesterol levels by reducing bad cholesterol (LDL) and increasing your good cholesterol (HDL). Protease – This enzyme is responsible for digesting proteins in your food, which is probably one of the most difficult substances to metabolize. By cleaning up your body of unwanted proteins from your circulatory system, you end up with cleaner bloodstream thereby giving you more energy and balance. Protease is also helpful in fighting cancerous tumor growths and in the healing and recovery from cancer by dissolving the fibrin coating on cancer cells and thereby giving your immune system a chance to do its job. It can effectively shrink these tumors by helping to remove the dead and abnormal tissues, and by stimulating healthy tissue growth. Lipase – This is an enzyme that digests lipids (fats). Lipase converts lipids such as triglycerides and diglycerides to glycerol and free fatty acids. Lipase helps in the following conditions: Heart problems, High cholesterol, Gallstones and Bladder problems. Amylase – Amylase is a digestive enzyme. It is a constituent of pancreatic juice and saliva, needed for the breakdown of long-chain carbohydrates (such as starch) into smaller units. Amylase is also synthesized in the fruit of many plants during ripening, causing them to become sweeter. A high carbohydrate diet causes an imbalance of enzymes, causing an amylase deficiency. Cellulase This refers to a family of enzymes that act in concert to convert crystalline, amorphous, and chemically derived celluloses (fiber) quantitatively to glucose. Lactase – Lactose, which is milk sugar, is one of the three types of disaccharides that must be broken down by Lactase. Lactase helps the absorption of calcium. Lactase deficiency results in lactose intolerance in all dairy products. Acerola – A South American Cherry with high natural Vitamin C content. Amla – or Indian gooseberry is a good natural source of Vitamin C and antioxidant polyphenols. It has been used as a valuable ingredient of various medicines in India and the Middle East from time immemorial. It is the best of all acid fruits and most useful for health and in treating diseases. Olive Leaf Citrus Blend – The Mediterranean diet, rich in fresh fruits and vegetables, has been associated with a lower incidence of cardiovascular disease and cancer, partly because of its high proportion of bioactive compounds such as vitamins, polyphenols and flavonoids. Several of these species as Olea europaea L., Citrus or Vitis vinifera shows a characteristic polyphenol distribution that does not appear in other Mediterranean plants. Seaprose-S – Seaprose-S is a common ingredient in Japanese over-the-counter cold remedies. Seaprose-S may be a natural antibiotic that can kill the bacteria responsible for many of the most common – and dangerous – diseases in the world. Seaprose-S is a proteolytic enzyme it breaks down proteins. Instead of targeting inflamed dead tissue and blood clots, Seaprose-S can reduce painful inflammation and break up mucus. The enzyme’s ability to reduce inflammation and break up mucous makes it a natural choice for treating respiratory infections like bronchitis and sinusitis, which are both caused by bacteria and characterized by inflammation and mucous build-up. Why wait until you are diagnosed with some form of heart or circulatory illness? Clean out your system now… before it’s too late! 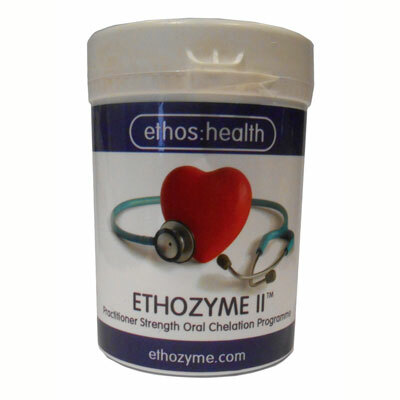 ETHOZYME natural arterial cleanse is a product of Ethos Health UK. Take 2 Capsules daily on an empty stomach, ideally 1 hour before a meal. Once in the morning and evening. Do this for 3 months or until your blood and cardio tests show normal results. Suitable for both vegetarians and vegans. Be the first to review “Natural Arterial Plaques Cleanser” Click here to cancel reply.